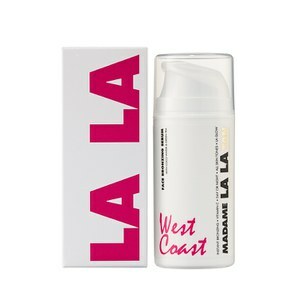 The Madame La La range on Beauty Expert gives you the freedom to achieve a perfectly natural-looking tan in the comfort of your own home. The do-all self-tanning mousses are formulated with cocoa water sourced from Baja California (Mexico), and created to provide you with the iconic LA glow in just 3 hours. Each self-tanning mousse boasts a formulated blend of Vitamins A & E, Aloe Vera Extract and Green Tea Extract, to effectively colour correct, acting as a CC cream for the body. The self-tanning mousses will help reduce the appearance of unwanted lumps, bumps and cellulite, making way for a more toned looking you. I have fair skin and would like a natural-looking tan. Which Madame La La Tan is best for me? Working to help hydrate, firm and tone your skin whilst creating a naturally gorgeous, sun-kissed glow for fair skin, the Madame La La Tan in Light is best for you if you've got lighter skin. The skin-perfecting mousse develops in just 3 hours and combines Cocoa Water extract, Vitamins A & E, Aloe Vera and Green Tea extract, which together, work to reduce pesky lumps and bumps and uneven skin tones. 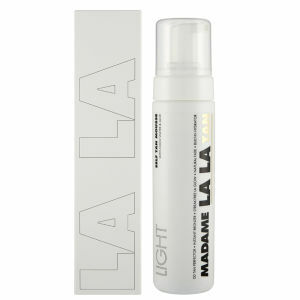 Lasting for 10 days and fading naturally, the Madame La La Tan is the ultimate, must-have self-tanning product. You can shop the Madame La La range here at Beauty Expert.